Leadership Southern California is a unique, experiential “master class” on Southern California. Designed for mid to senior-level working professionals from business, nonprofit, philanthropic and government sectors, you will explore regional issues such as the economy, education, transportation, goods movement and natural resources. Fellows meet one Friday per month for eight months to experience deep exposure to regional issues affecting Southern California, focused on five counties: Los Angeles, Orange, San Bernardino, Riverside and Ventura. Leadership Southern California curriculum is taught by some of Southern California’s most innovative experts, enhancing behaviors and gaining skills they need to effectively lead collaboration and build strategic partnerships across sectors and with diverse stakeholders. 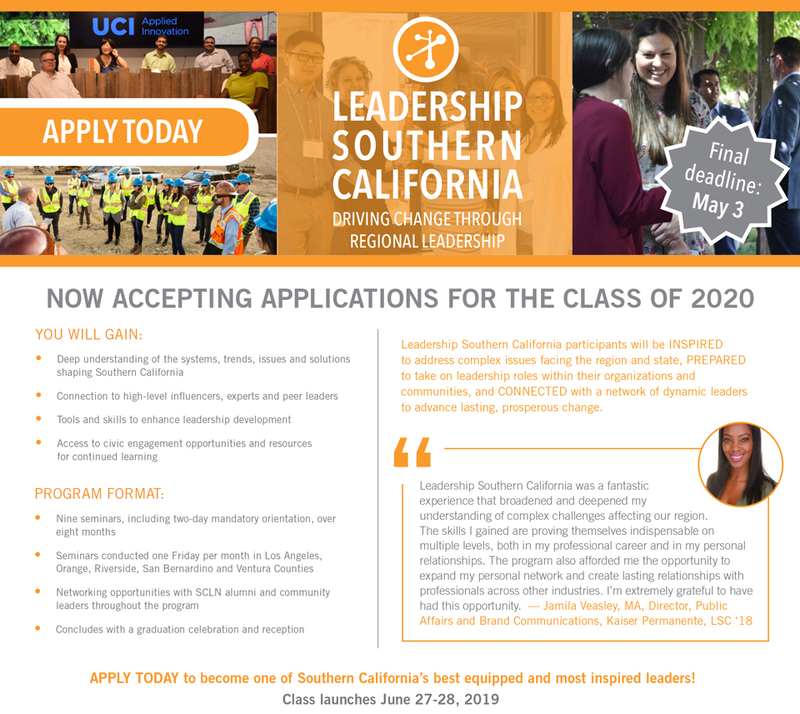 The application window is now open for the Leadership Southern California Class of 2019-2020! Early application deadline is March 22; extended deadline May 3. Classes launch June 27-28, 2019. View our 2019 schedule of seminars. Tuition for Leadership Southern California is $4,950, which includes full participation in seminars, all materials, meals and ground transportation. 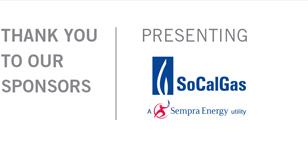 A 10 percent discount is available for SCLN alumni and members of the L.A. Area Chamber of Commerce. Limited scholarships may be available for qualified candidates with demonstrated financial need. If you are interested in applying for a scholarship, please indicate on the application. For more information, contact Jessica Coronel, 213-580-7537.